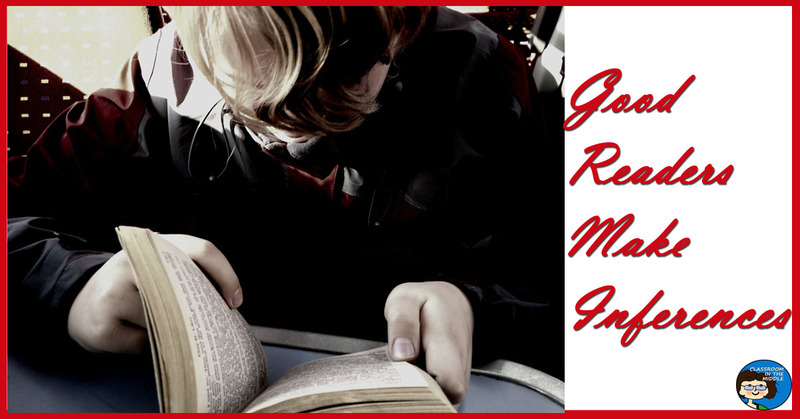 Characterization – How do kids determine the character traits of a main character? By making inferences. Types of Conflict – Novels don’t come right out and say “This is a man vs nature conflict” – readers infer it. 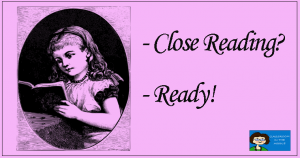 Setting – How do we know that a novel is set in colonial times? 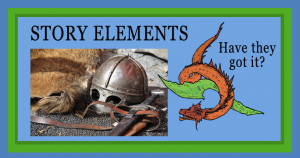 Often, we infer it from details and events in the story. 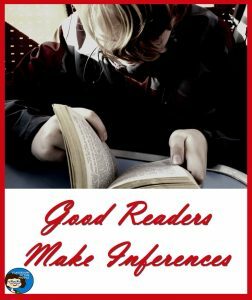 Being good at making inferences can be the difference between becoming a good reader who enjoys reading or plowing through reading class day after day as a struggling reader. Because good readers are good at making inferences; it’s how we get the most out of everything that we read. Students make inferences from all types of reading, not just novels and major pieces of writing. They can make inferences from reading the back of a cereal box or the directions on a test. Kids also get good at making inferences from things that don’t involve reading at all, such as the expression on their teacher’s face! 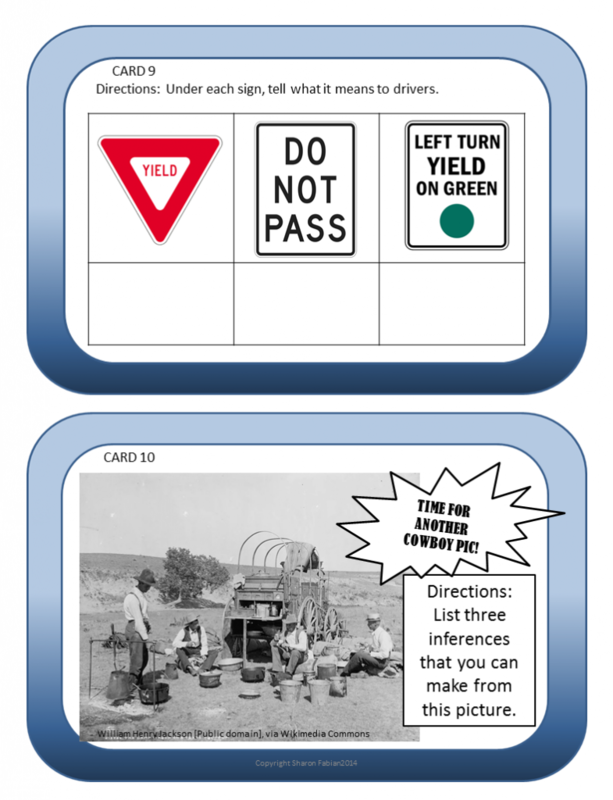 To become good at making inferences in their reading, kids need to practice with a variety of sources, and this is one thing I tried to include in my inferencing task cards. 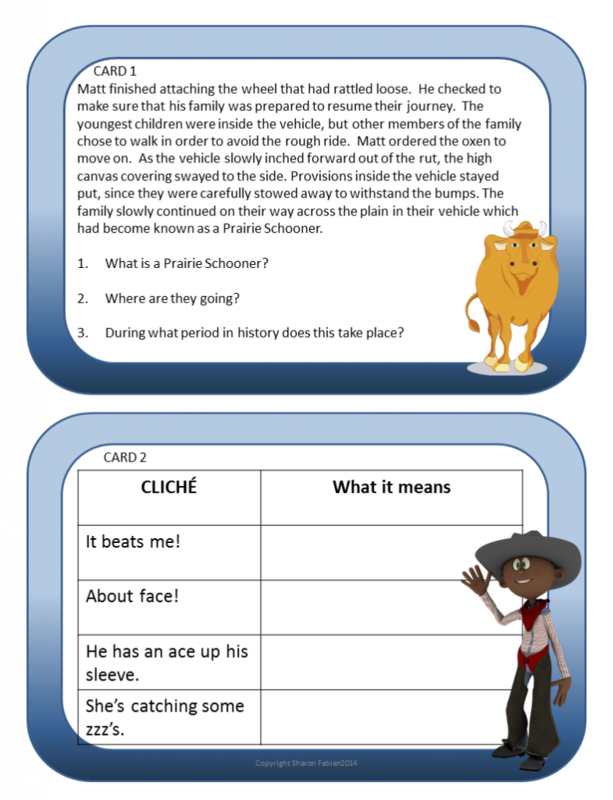 I’ve included a variety of sources for kids to make inferences from including paragraphs, quotes, cliches, signs, and pictures. Here are a few samples. Another of my favorite inferencing activities is solving riddles. Solving a riddle is all about making inferences, putting together all the possibilities from each clue to come up with the one best choice. I think riddles are an especially fun activity to use in the days leading up to a holiday. Riddles can be projected on a screen for the whole class or small groups to figure out. Kids have fun with this and really get involved in the activity! It’s one of my favorite activities to use when I’m making holiday freebies. So far I’ve made free riddle presentations for Halloween, Christmas, and Saint Patrick’s Day. You can find them all in the Classroom in the Middle Store.